Mrs. Phyllis Jean Allen, age 58, of Shelby, went to be with her Lord and Savior on February 9, 2019. 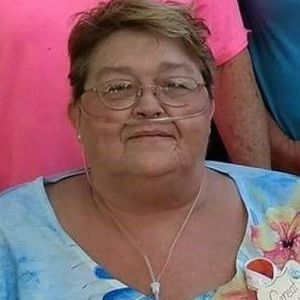 She is survived by her daughter, Nicole Jones and husband Tim of Lawndale, NC, three grandchildren, Dustin Jones of Shelby, NC, Destiny Jones of Shelby, NC, and Carter Jones of Lawndale, NC, two great grandchildren, Michael Howell and Jayson Jones, and a cousin and caregiver, Bill Camp of Shelby, NC. Born on November 29, 1960 in Cleveland County, Mrs. Allen was the daughter of the late William and Laura Camp Allen. She enjoyed working on her family tree. Phyllis loved any type of arts and crafts and taking pictures. Mrs. Allen loved her faithful companion Hamlet. She also enjoyed spending time with her family and friends, especially Joyce her best friend. A visitation will be held from 6:00 – 8:00 pm Monday, February 11, 2019 at Cleveland Funeral Services Chapel. A funeral service will be conducted at 3:00 pm Tuesday, February 12, 2019 at Blessed Hope Baptist Church in Cherryville conducted by Rev. James Herring and Rev. Howard Stroup. Burial will follow in the church cemetery. Memorial contributions can be made to Hospice of Catawba County, 3975 Robinson Road, Newton, NC 28658. Add your thoughts, prayers or a condolence to Phyllis Jean's guestbook. Please enhance this tribute to Phyllis by adding your memories and photos.